Next Article What’s not to like? Oh Lucy! Such a sweet face to greet you and she's the perfect fit for that window frame! Our pup is crate trained but we are about to let her roam the house for short periods of time. Right now, I worry about what she'd do if we left her out. 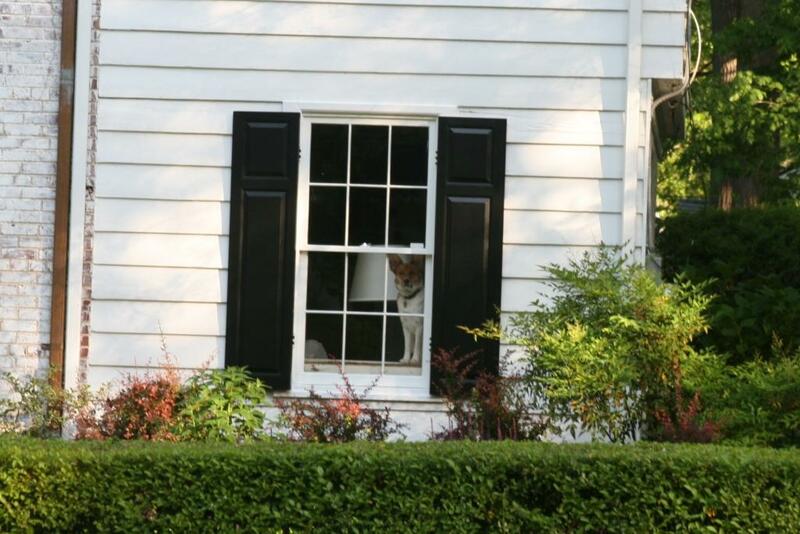 When I leave, and there are others in the house, she just runs up to the window and watches me drive away, but who knows what she'd do if we all left. Lucy looks so cute in this photo. Of all the improvements you've made to your new house, this is the best one!